Last week was a success, I was able to cook dinner each night and not eat out. 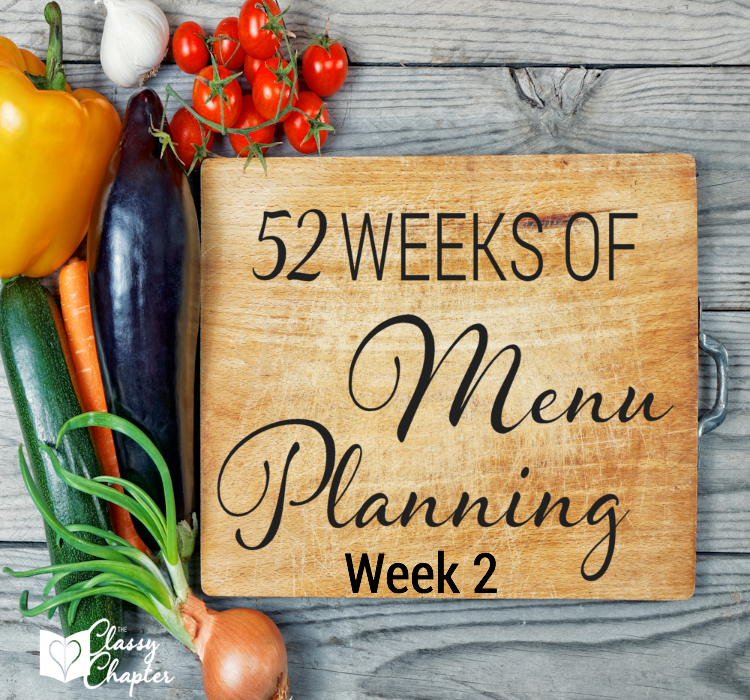 Hoping to accomplish that again this week with the weekly meal planning menu. The point of meal planning is to not only save money but to eat good food at home. Restaurants and fast-food are great from time to time, but they cost a lot of money! Most of the food you can purchase at a restaurant, you can easily make in the comfort of your own home. Monday – Creamy Crockpot Mac & Cheese and I am so excited to try this out. My all-time favorite mac & cheese is from Kraft. Yes, the stuff in a box! I’m super fancy. Tuesday – Breakfast for dinner. My family loves breakfast burritos so I’ll be making chorizo, eggs, bacon, potatoes wrapped in a tortilla with some salsa. Wednesday – Chicken Mozzarella Pasta with Sun-Dried Tomatoes. I have not tried this dish before, but I’ve had it bookmarked for a few months and I’m finally going to give it a try. Thursday – Salmon over rice with fresh vegetables. Fish is a sensitive subject in my house. My husband isn’t a huge fan of fish and my kids have mixed feelings on it. I absolutely love fish – when cooked correctly. So I try to sneak a fish dish in ever few weeks. Friday – Nacho Bar Night. I’m not always in the mood to cook, so anytime I can do buffet style dinner I’m on board. Nacho night is great because everyone can load up their plate with the ingredients they like. Make sure to offer a nice selection of fresh veggies and herbs. Saturday – Spicy Chipotle Shredded Chicken from Pinch of Yum. I have made this dish several times and it’s always a hit in my household. You can turn down the heat by using less chipotles. You can also turn the heat up by adding more. Sunday – Grilled Cheese with Chicken Ceaser Salad. Be sure to follow me on Pinterest to get a sneak peek of what I’ll be cooking. Also, if you have a recipe you think I should include on my weekly menu, leave it in the comments below! Don’t you get a cheat day? Haha! I would have the biggest cheat day ever!